Parking permits are required for all streets within the corporate limits of The Town of Fenwick Island from May 15 though September 15. These permits may be purchased at the Police department during the summer season. 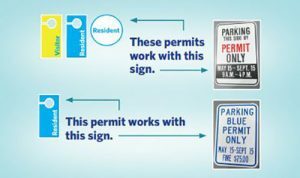 BLUE PARKING PERMITS (hang tags from rear view mirror) ARE VALID FOR ALL STREETS INCLUDING THE BEACH ENDS. NO PARKING AT BEACH ENDS FROM 12 AM TO 6 AM. ALL OTHER PARKING PERMITS ARE VALID FOR SIDE STREETS ONLY FROM 9 AM TO 4 PM. PARKING IS FREE ON SIDE STREETS ONLY AFTER 4 PM. NOTE: Permits are not available in advance nor by mail. They must be purchased the first day of use. The sale of a permit by the Town does not guarantee a parking space. 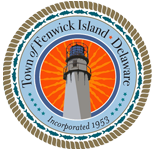 Handicapped Parking: Handicapped persons are required to obtain a valid parking permit issued by the Town of Fenwick Island to park on town streets and certain designated spots at beach ends. There are handicapped parking spaces on the beach side of Town for registered handicap permit holders on the following streets: Bayard, Farmington, Georgetown and King Streets-in addition the Town parking permit must be displayed while parking on these streets. Refer to General Code 112-6 Parking for handicapped persons. Anyone who wishes to contest a parking ticket must fill out the “Parking Violation Request for a Hearing” form and return it to the Fenwick Island Police Department within 10 days from the issue date of the ticket. A court date will be set.